People burning brooms gather on the village main square during 'Los Escobazos' Festival in Jarandilla de la Vera, Spain, Sunday, Dec. 7, 2014. Los Escobazos is an ancient feast celebrated every night on the 7th of December, where people burn brooms to welcome each other. This feast is based on an old pastoral tradition, when shepherds returned from the mountain to the village to celebrate the Immaculate Conception procession, lighting up their path with blazing brooms which they would put out by beating, hitting each other playfully, when they got to Jarandilla. 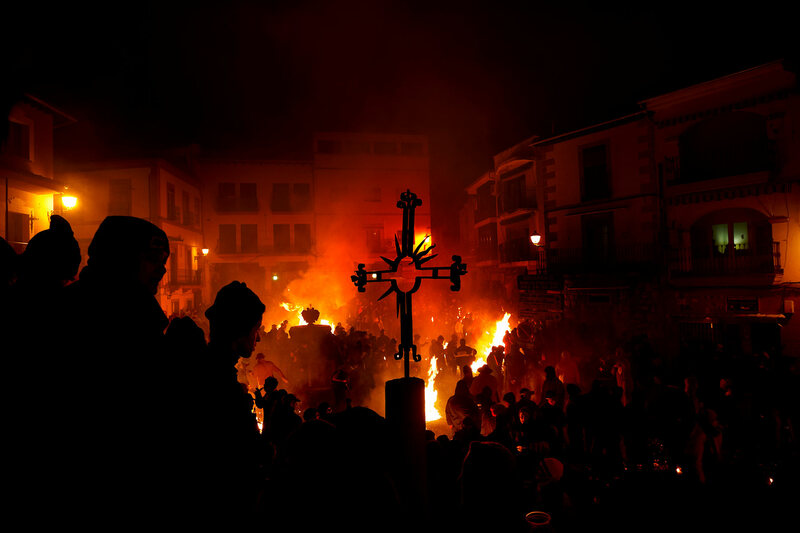 As soon as it begins to get dark, revelers light their brooms and begin to hit each other on the legs, and later they parade with the image of the virgin playing drums and holding the burning broom across the village.